DreamWorks Animation brings together Grammy Award winner Rihanna, Big Bang Theory’s Jim Parsons, Jennifer Lopez, and Steve Martin in the intergalactic animated comedy Home. 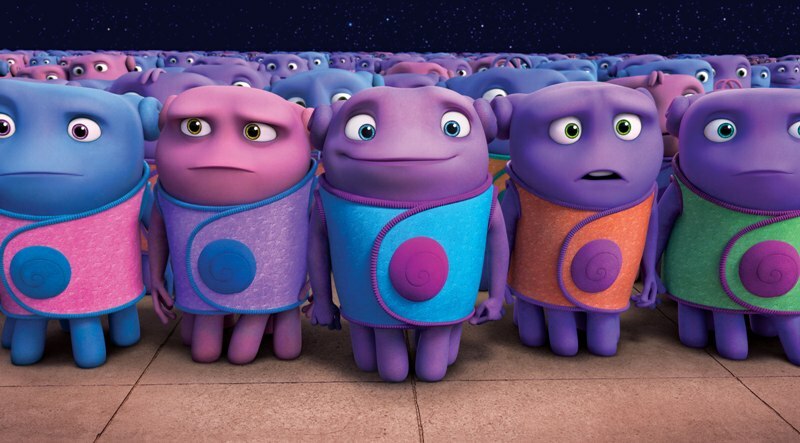 Home takes a friendly alien race known as Boov towards Earth where they use the planet to hide from a longtime enemy. When Oh (Parsons) accidentally notifies the enemy of their whereabouts, he tries to run away only to cross paths with a teenage girl named Tip (Rihanna). Starting off on unfriendly terms, Oh and Tip embark on a comical adventure where Oh eventually learns what it means to be human. The Boov are hive-minded beings who value conformity and think true happiness is achieved through the healthy suppression of individuality. Oh, a natural-born purple Boov is smart and hard-working, but as his friendship with Tip blossoms, he gets in touch with his inner humanity. 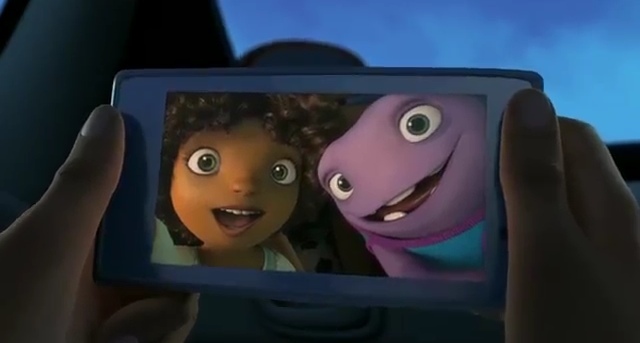 Both Rihanna and Parsons make their animated feature debut in the film, directed by Tim Johnson. Johnson tags the movie as “first post-apocalyptic, alien invasion buddy comedy.” But above all, says Johnson, Home is about two characters who don’t fit in their respective worlds, but together find the true meaning of acceptance and ever-surprising commonalities. “It’s very much a buddy movie, and it’s also about a clash of cultures coming to an incredible understanding and blossoming into a fun and beautiful friendship between Oh and Tip,” he elaborates. Home takes Oh, Tip – and the audience – on a worldwide journey, from the United States to France to China, and finally to Australia. It’s an epic expedition encompassing millions of Boovian spaceships, and technology that switches off gravity across the entire planet. An enormous Gorg mothership also lends impressive scale. “The goal from the start was to make HOME a big global adventure,” says Johnson. Warm hearted, exciting and funny, infused with fantastic music, “Home” a DreamWorks Animation feature opens very soon this March 26 from 20th Century Fox to be distributed by Warner Bros. The Star Wars Comic-Con reel is glorious!